The head sculpt is pretty good for the 9" line. 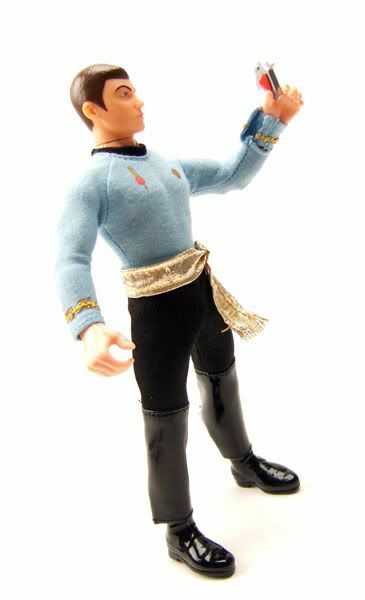 It's recognizable as McCoy, but not perfect. The 9" line head sculpts are limited by the material used on the heads. The clothes are also in the good, but not great category. The outfit is well done and fits well, but there's a couple of nitpicks. 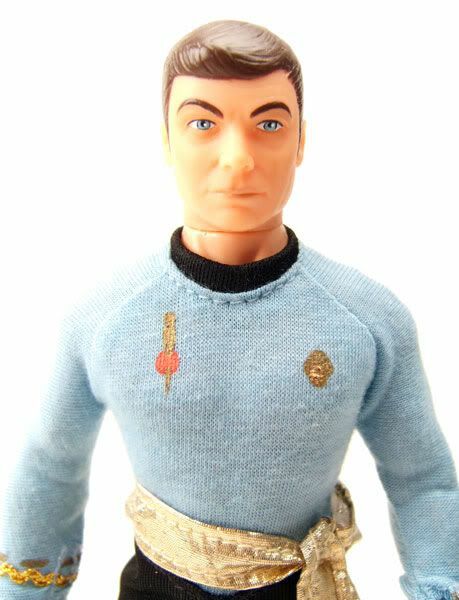 First, they just painted the symbols onto the shirt instead of doing them as little prints (like the delta shields on the classic crew uniforms). They look sloppy and are almost unrecognizable as to what they are supposed to represent. 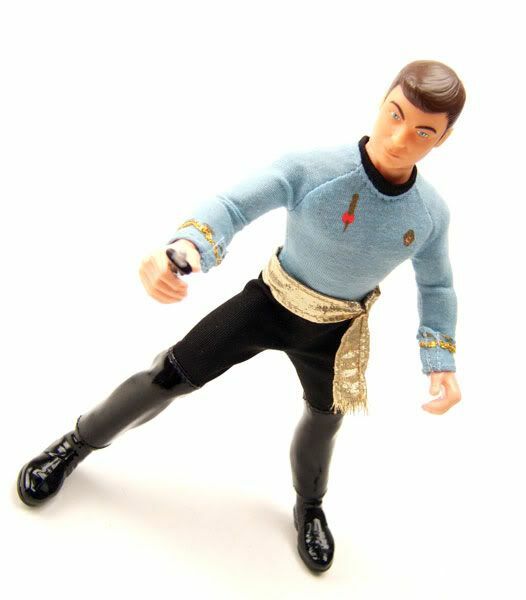 The Mirror Universe boots are thigh-high. 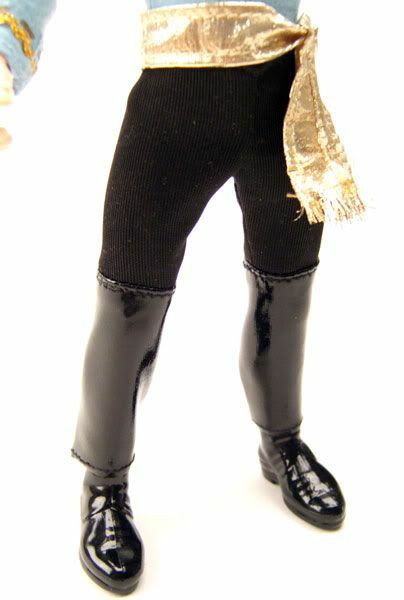 The only way Playmates could get around that was by making the upper part of the boots out of a black vinyl-like material and making them part of the pants. It doesn't look that great, but at least they didn't just ignore the thigh-high boots and just make them standard boots. 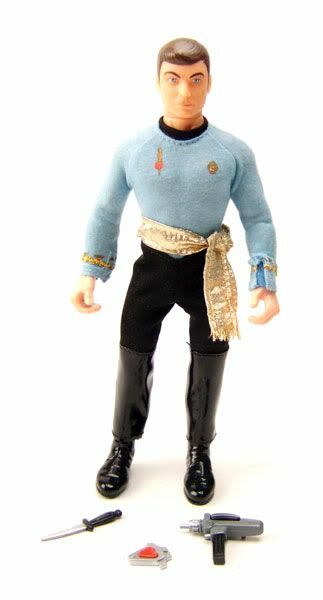 I can kinda forgive that since there aren't alot of ways to make the boots work. 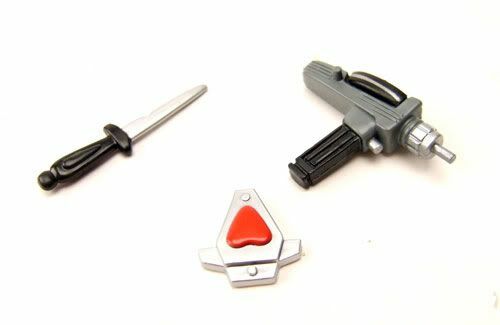 Accessories: Mirror McCoy comes with an agonizer, a dagger, and a phaser. 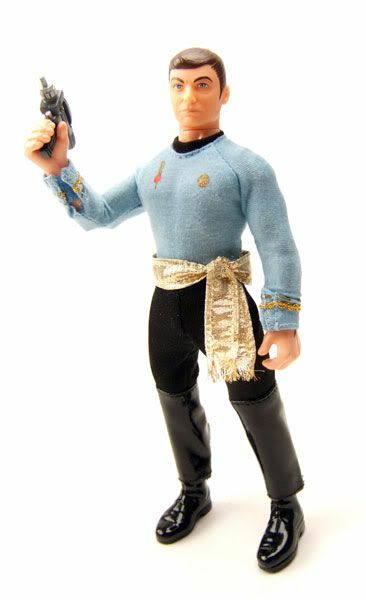 The phaser is a bit too big, but the other accessories look nice. 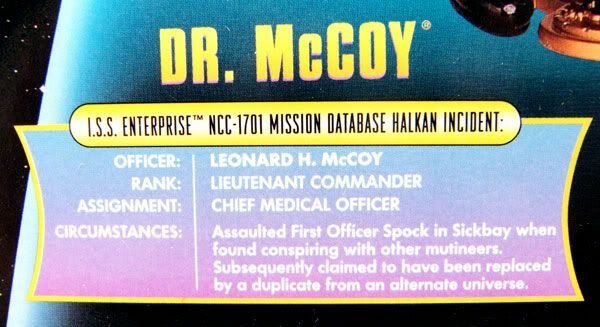 Labels: Dr. McCoy, Playmates, Playmates 9"